Anyone can take a vacation. But not everyone can take a Funnercation. At Harrah’s Resort SoCal Funnercations are our specialty. Voted best resort in Funner, CA, Harrah’s Resort is the perfect setting for a complete reset. Start with a few leisurely laps around the Lazy River followed by a pit stop at the Swim-up Bar. Treat yourself like royalty (or the mayor of Funner) with head to toe pampering at The Spa at Harrah’s. Then hit the casino floor for fun and games that only a place called Funner can deliver. Mouth-watering meals. Hand crafted cocktails. Music and more. Pack your bags and experience fun on a whole new level. A funner level. 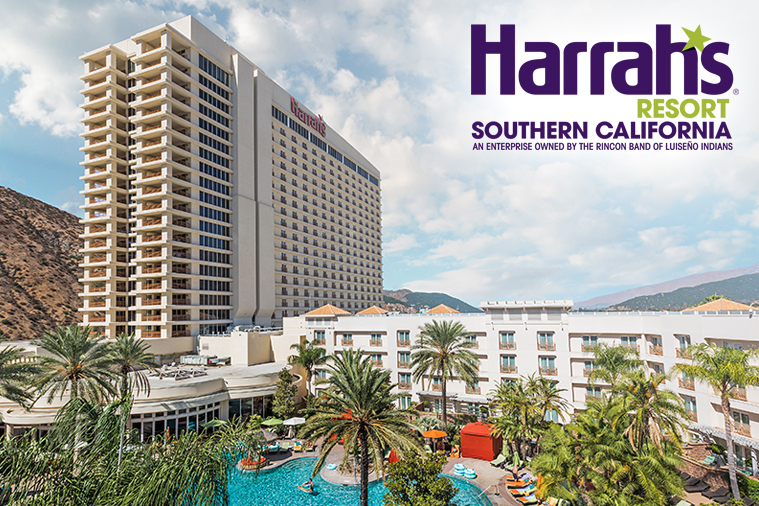 Book your stay online at harrahssocal.com today.